We have had some great Covo’s over the almost three past years, but last night was special. The audience was so awesome and the comics certainly brought it. Hope to see everyone in 2013. Our next show is January 27th. Check back for line up information. Thanks! 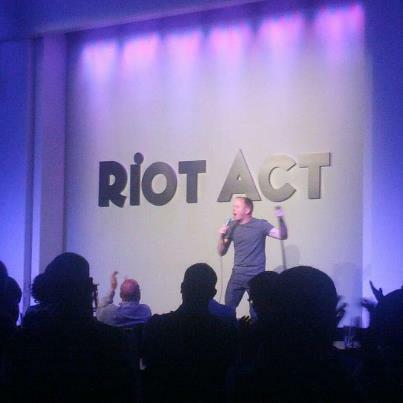 Last week was such a treat, headlining along with Carolyn Castiglia on Gaylarious at the Riot Act Comedy Club in DC. This popular show produced and hosted by Zach Toczynski and my good friend Chris Doucette had over 250 people. The crowd was amazing. It was a great time and I saw something I never saw in my life – a comedian get a standing ovation. Yes, Carolyn received a well-deserve standing O after giving them a great set and finishing up with her trademark free style rap. Below the comics after the show. 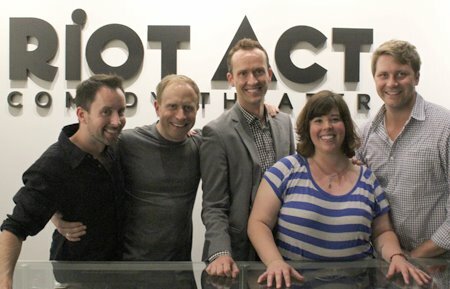 From Left: Chris Doucette, Me, Zach Toczynski, Carolyn Castiglia, and Marcus Paulsen.